With the warmer than usual weather, we are also having unseasonably good fishing right now. Then to top it all off we are offering a spring special of $50 a person off every kokanee and walleye trip through June! We will be fishing kokanee on Lake Chelan, and Lake Roosevelt and then Moses Lake , and Banks Lake walleye. 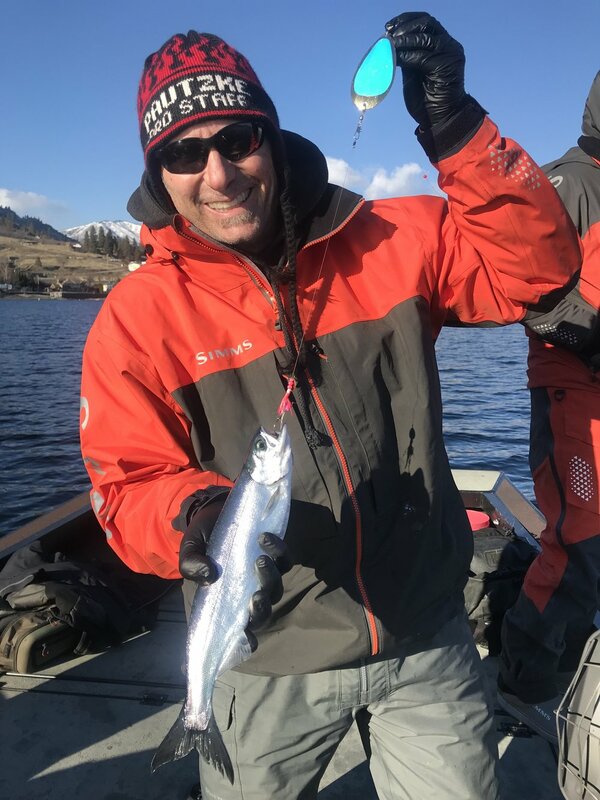 I have been fishing Lake Chelan kokanee mostly lately and it has been fishing good, with limits being the norm. Walleye on Banks Lake is just starting to pick up now and will just be getting better as spring progresses. 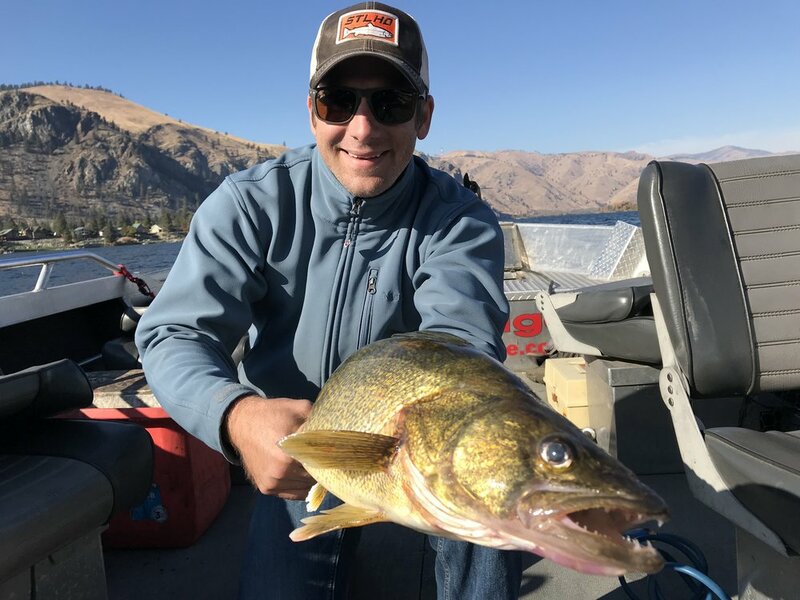 In Lake Chelan we have been getting fish anywhere from around the State Park up to Mitchell Creek. We have been fishing trolling flies and spinner rigs tipped with Pautzke Fire Corn, anywhere between 40 and 180 feet deep with 70 to 120 feet being the best and most consistent. I will be fishing Lake Chelan and Moses and Banks lakes through June with fishing staying good most of the time. Book your trip now before its all filled up! Here are some pictures from the last couple weeks, thanks for reading and see ya out on the water!